The proliferation of multi-channel platforms has made it easier for marketers to reach, stay connected and engage with their customers and prospects from anywhere at any time. On the other hand, customers are also able to get unlimited information through various channels and can enjoy the privilege of controlling the buying process with more choices than before. As your customers can interact with your brand in a variety of ways, so it is important for you to know your customer’s behavior across all channels, at each and every level of their journey. And to keep pace with the evolving multiple mediums for brand exposure, you must embrace multichannel marketing at the earliest if you haven’t yet. However, strategizing and executing marketing strategies across multi-channels is a time-consuming and strenuous job. So, to be on a safer side, it’s better that you opt for leveraging a reliable multi-channel platform that can ease your marketing challenges and fetch you desired results. 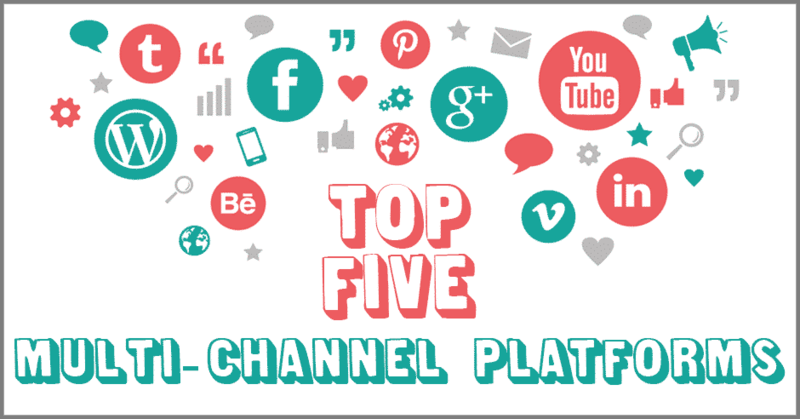 Here are five multi-channel platforms that every marketing professional must know. Helping B2B companies generate online leads, Adobe Marketing Cloud tool is designed to manage and automate marketing activities, CRM integration, and optimize customer data across all marketing channels such as direct mail, email, and social media. But, using this tool without expert professional support can end up giving you wrong information that can hamper your marketing efforts. Being data-driven software, Bronto provides an excellent automated e-commerce multi-channel marketing platform to retailers and B2B companies. Easy to integrate with other e-commerce apps and tools, the software delivers and manages targeted emails, mobile and social media campaigns. Using Bronto, you can reach a wide range of customers by using which data-driven campaigns. But the only concern about this tool is its pricing that keeps on changing that can strain your marketing budget. So, think wisely and make proper arrangement of funds to make the best use of the automated platform. Commonly used by small size or mid-size business like start-ups, and public companies, Intercom is a customer communication platform with various integrated products for both sales & marketing team and also for product & customer support team. It allows you to target communication via website, mobile apps, and emails, making the job easy for you. Designed for digital marketers, Ampliz is a Data Hygiene Software and marketing database management platform. It enables you to connect, engage and reach your target customers and prospects through effective multi-channel marketing campaigns. This cloud-based platform is efficient in maintaining high-quality marketing data by adhering to the guidelines of data hygiene, data verification, and marketing database management procedures. If you have budget constraints, then this cost-effective email marketing tool with advanced features can serve your purpose successfully. Even the C-suite executives like CEO’s, COO’s, CMO’s, and other decision makers like VP Marketing, EVP Sales or Chief Compliance Officers needs an efficient marketing automation platform to build, create, monitor and measure marketing programs, personalize and cater to customer demands. Distribion is just the right and useful tool for them. It allows decision-makers to reach their customers via an all-in- one platform designed for email, social media, direct mail, reports and analytics functions. The way marketing trends are changing every day, it’s high time that marketing experts and marketing agencies fasten their seat belts and start adapting to the latest media uprisings, review their tools and go for a powerful multi-channel marketing platform that can boost their online presence.